with myself. I can’t wait to stop whining. But, since I can today, I will just for a moment. The weekend was a bust. It always is when chili dip is involved. MY exeprimental rice and black beans were actually a hit with the Beloved, but not me too much. I will, however, post the recipe. 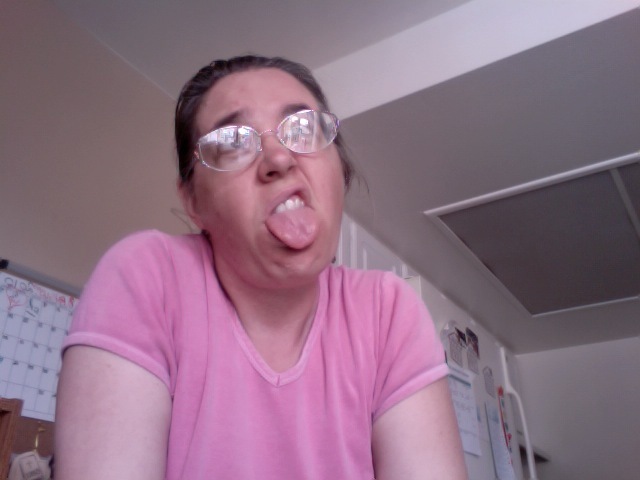 My crazy, insane, preimenopausal cycle finally arrived, and along with it major back pain and cramping. Another reason to get this under control, but also a huge deterrant. Okay, enough whining. (Probably) I made a totally groovy menu planner and for some reason I cannot get it to post in the actual body, only as a link. Enjoy, if you’d like to. Menu Week One I think it’s snazzy, but like the silly person I am, I forgot to save the template. Oh well. Since I have the feeling you don’t quite believe me, I took a picture of the lunch I’m munching on while typing. 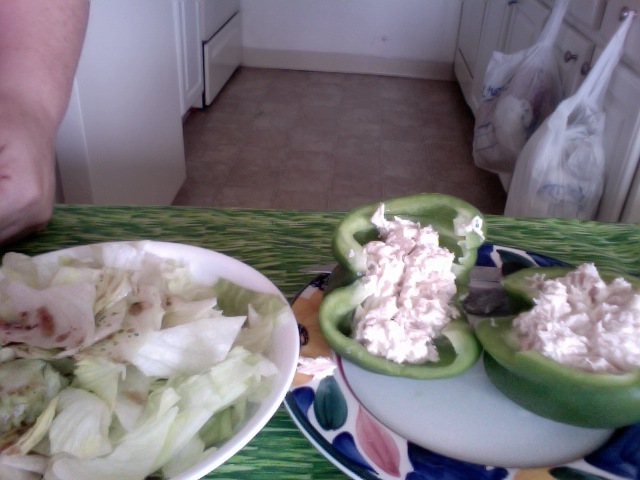 I have tuna with mayo (again, let’s not go crazy) in a green bell pepper instead of on wonderful, hot, crunchy toast. Accompanied by a salad of lettuce, grape tomatoes, cucumber, a few black olives (REALLY! Only 6) and some diced red onion. Paul Newman’s Light Balsamic on top. By the way, who’s great idea was this dumb container? 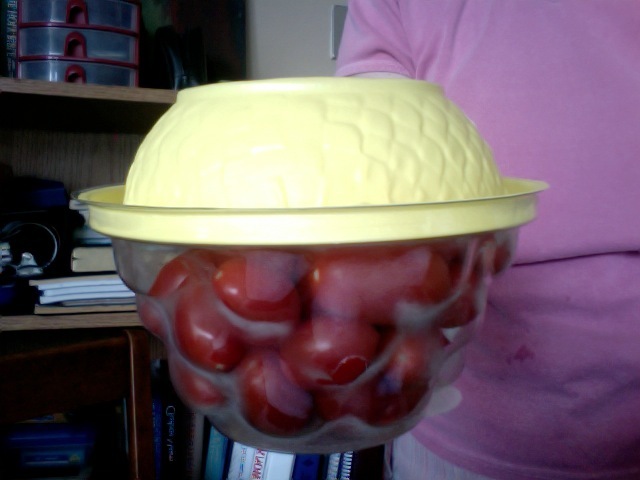 I cannot tell you how hard it is to open, and then have half your grape tomatoes falling all over the place. Dinner tonight is Greek Rice, broiled chicken breast and broccolli. Ane even though I do like that, I feel like this.